How to get there: On the route between Skåla and Lodalskåpa, see these entries for more information. 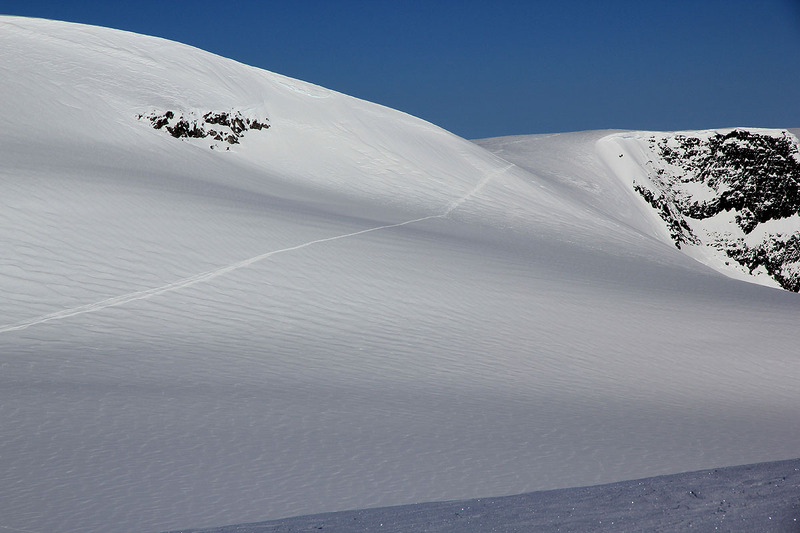 Route description: This climb is straightforward on skis. After the substantial climb on the Tindefjell glacier (just after passing the Tindefjell), there is a flat area before Bings Brekuppel. 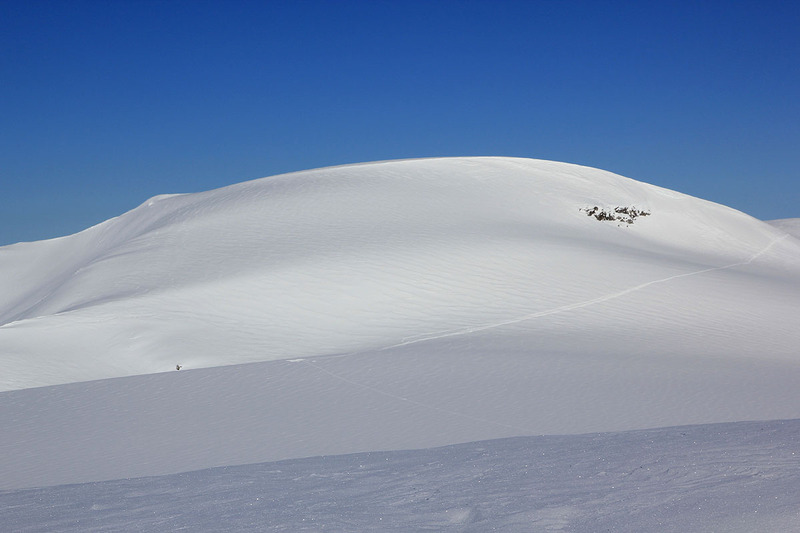 On our skiing trips, we have typically traversed Bings Brekuppel on the left side in order to continue on the Tindefjell glacier. However, one might alternatively (as we did in May 2002), climb Bings Brekuppel directly from this approach. From the highest point one should descend directly towards the Tindefjell glacier, once below 1800 meter the more gentle slope is more to the left, that is towards the final part of the traverse route. Cross the narrow ridge beyond the Skåla tower, then descend (right) to the glacier below. Continue towards Tindefjellene and contour on the right side of the ridge in order to get a descent here that is pretty gentle. Ski to the col at the far end of Tindefjellet and ascend more steeply the hill that connects to the flat area just before Bings Brekuppel. 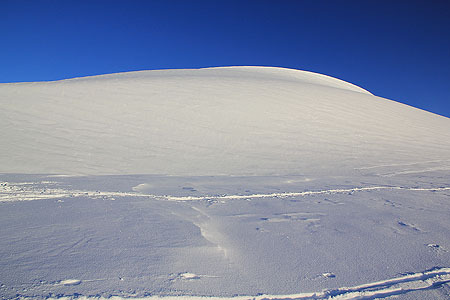 Unless you want to climb Bings, one can traverse left of this mountain and descend directly to Tindefjellbreen. This is a reasonable place for a first camp if the day started at Tjugen seter. This route continues towards Tindefjellbreen. Comments: We made this alternative on our trip in May 2002. My friends Jan-Frode and Arnt took part in this trip. 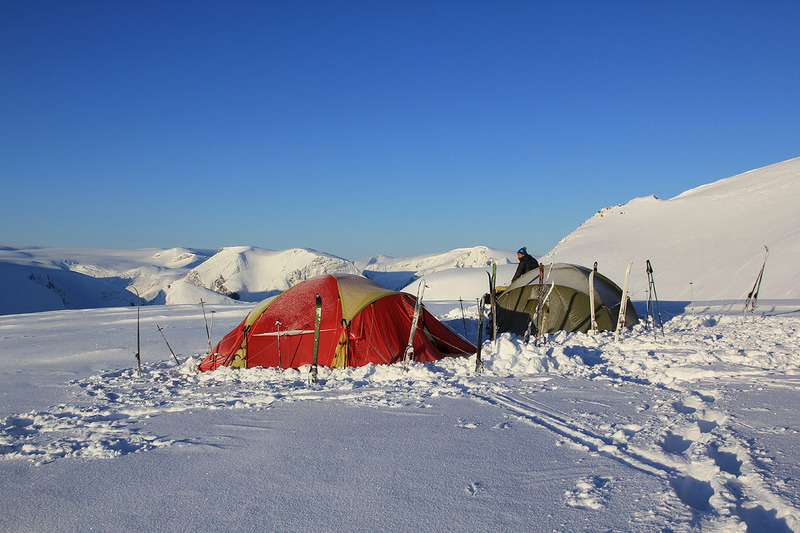 In 2012, we had pretty bad weather with almost no visibility, from Skåla to Tindefjellbreen where we established camp. The next morning was perfect as the forecast had predicted! Morning view, across Bødalen from our camp at the base of Bings brekuppel.